John Gosden would love the idea of Roaring Lion renewing hostilities with both Masar and Saxon Warrior in next month's Juddmonte International at York. Roaring Lion finished second in the Derby at Epsom last month behind Charlie Appleby's Masar. A rematch was on the cards in Saturday's Coral-Eclipse at Sandown, only for the Godolphin colt to be ruled out at the 11th hour with heat in a foreleg. That left Roaring Lion in a perceived duel with 2,000 Guineas winner and Derby fourth Saxon Warrior. A fabulous finish saw Gosden's runner just edging out the Ballydoyle colt, despite riders Oisin Murphy and Donnacha O'Brien being called to the stewards' room after the winner caused minor interference late on. It was a third Eclipse win for Gosden in the last seven runnings, following wins with Nathaniel in 2012 and Golden Horn in 2015. Roaring Lion is 3/1 to win York's Juddmonte International next month and the Clarehaven handler would love to lock horns with both the Sandown second and the Derby hero on the Knavesmire. "It was very sad that the Derby winner wasn't [at Sandown] as it would have been a phenomenal horse race and a right old ding dong, but he wasn't here and we still got a hell of a race, so full marks to Aidan for sending Saxon Warrior [over] just a week after the Irish Derby," said Gosden. "Roaring Lion will freshen up now and go to York. I'm sure we'll see the second there and with any luck we'll see Masar there too. It will be some horse race." 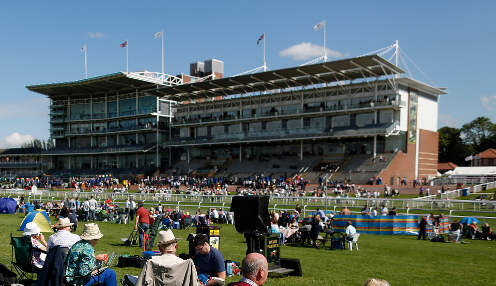 Masar is 999/1 to win the Juddmonte International at York on 22nd August while Saxon Warrior is trading at 4/1, though his trainer has hinted he may consider dropping back to a mile.